Love Is In The Air . . . And In A Mug. Join us for our 5th annual Love Mug Stops! Stop by and show some love for your favorite public radio station. We'll have an exclusive WFDD Love Mug available as thanks for your gift of $240 or $20/month. Each of these beautiful mugs is handmade by local artisan Pam Taylor of Sawtooth School for Visual Art. And you'll have a chance to tell WFDD's Morning Edition host Neal Charnoff how much you love using your turn signal. Heck . . . he may even give you a sticker for that! We want to know what you love most about 88.5 WFDD. Share your feedback when you make your gift. 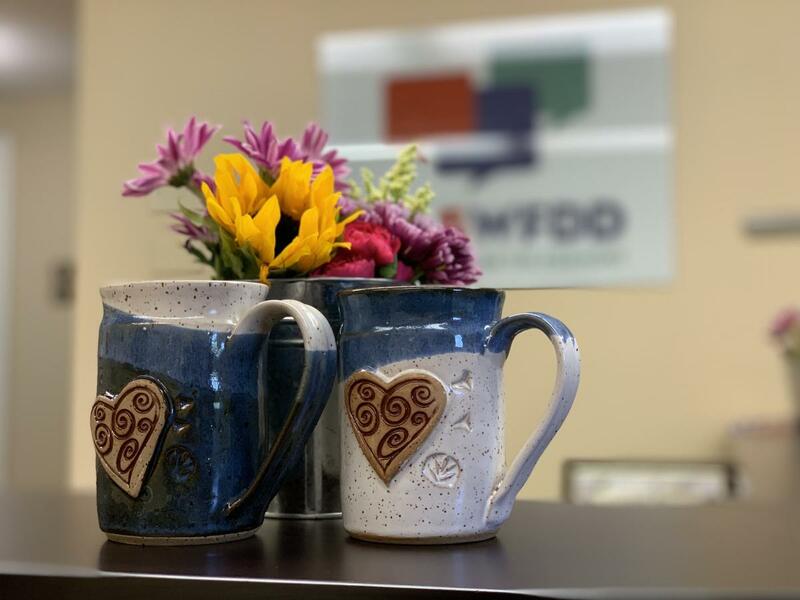 Share the love on Facebook, Twitter, and Instagram using #wfddlove and #wfddlovemug.